Social media, at its worst, can be a dark, mean-spirited place. 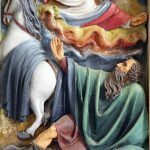 Thankfully many Catholic clergy and religious who have profiles on Facebook, Instagram and Twitter bring a sense of joy and their own style of “holy playfulness” to those platforms. Whether they are posting cat videos, funny memes, silly pictures of themselves at a Mardi Gras party or sharing inspirational quotes from the Bible, they act as leaven in a world where too often vitriol and snark are present. 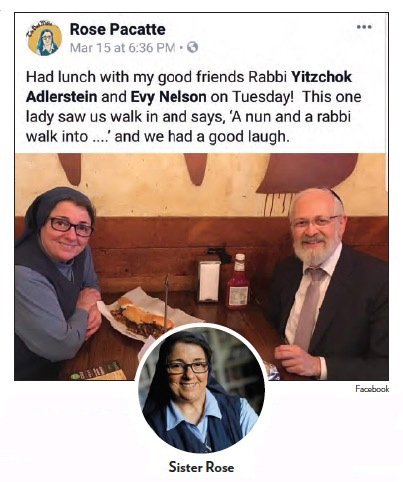 Our Sunday Visitor asked two priests, a deacon and a religious sister who use social media why they are active on those platforms, and how they share information and interact with their followers. When Father Emmanuel “Manny” Vasconcelos sees something beautiful, whether it’s a sunset or a city skyline at night, he often takes a picture and posts it to Facebook or Instagram with the #nofilter hashtag. “I do that so that people know what they’re looking at is real, so that they can share in that beauty and enjoy it,” said Father Vasconcelos, who was ordained last summer as a Franciscan priest for the Order of Friars Minor. Father Vasconcelos, who goes by “Father Manny” and is assigned at St. Anne Church in Columbus, Georgia, has been on Facebook since around 2004. He also has Instagram and Twitter accounts. 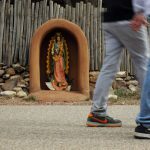 On his Facebook wall, friends see a picture of the Blessed Mother he shared on International Women’s Day, a post celebrating the sixth anniversary of Pope Francis’ elevation, a Mass video and uplifting quotes from Church documents. 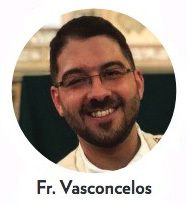 His social media activity makes it evident that Father Vasconcelos is a faithful Catholic, but it also captures snapshots of his personality. In late February, he posted a congratulatory note to actor Rami Malek for winning the Academy Award for Best Actor. On Fat Tuesday, he shared a photo of himself and other Franciscans wearing Carnival beads and hats. He followed that up with an Ash Wednesday “selfie” of himself and young people smiling with ashes on their foreheads. “Turn up your sound and just — smile!” Pauline Sister Rose Pacatte urged her Facebook following on March 13. Sister Pacatte had posted a short video of a parakeet playing “peekaboo” with a kitten, which looked on passively through a window. “I love cat and dog videos,” said Sister Pacatte, who is popularly known for writing movie reviews through a Catholic social justice lens. She likes to engage people on social media, whether that’s encouraging them to think deeper about what it means to be pro-life or to just get a laugh out of them. Sister Pacatte is active on Facebook, Twitter and Instagram. 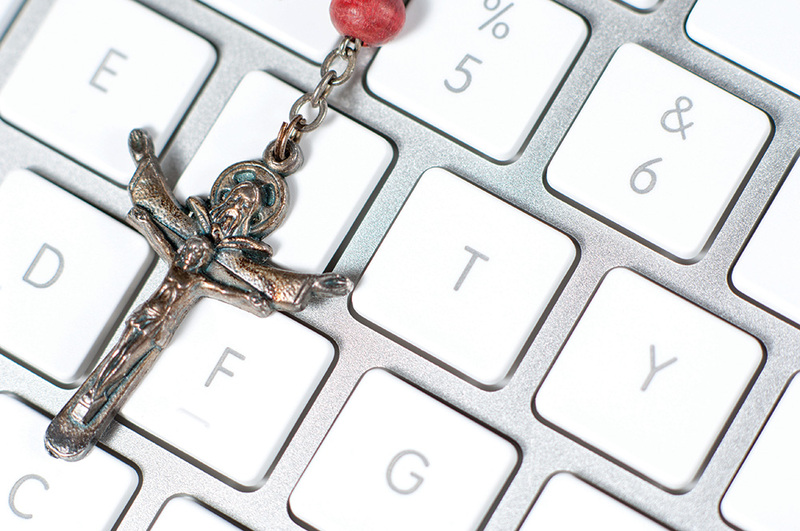 While some have written off social media entirely either as a waste of time or a moral cesspool, Sister Pacatte said if the Church is not present on those platforms, it may as well not exist for people who spend time online. “I believe there is more going for Facebook than what there is going against it, but we have to be aware of the traps,” said Sister Pacatte, who added that she has tried over the last couple of years to be more measured in her social media activity. “It’s only when it might be something funny, or at least something that makes someone smile rather than run out of the room screaming, that I might post something,” she said. Her posts usually encompass current events, Church topics, art, spirituality and animal videos. 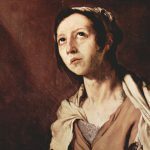 There is a great temptation among Catholics, particularly during Lent, to walk away altogether from the noise of Facebook or Twitter. Deacon Greg Kandra approaches social media differently. “I think in many ways we have to be in the middle of the noise. We need to be a leaven in the world, and an important way to do that is on social media,” said Deacon Kandra, who was ordained in 2007 for the Diocese of Brooklyn, New York. Deacon Kandra, the multimedia editor for the Catholic Near East Welfare Association, is a popular figure in Catholic social-media circles. 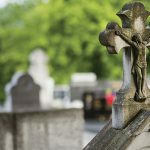 He uses Facebook and Twitter to promote his blog, “The Deacon’s Bench,” on Patheos. 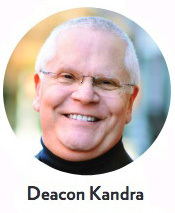 “I like to post everything and anything that might be of interest to people in the Catholic world, anything unusual or important that I think people should know about,” said Deacon Kandra, whose social media posts include items from his blog, topical articles in Catholic media outlets, inspirational quotes and Scripture passages. “In some ways I find myself thinking twice a lot more about what I want to post, anticipating how people will react to something,” said Deacon Kandra, who believes that social media can be a venue for evangelization when used correctly. 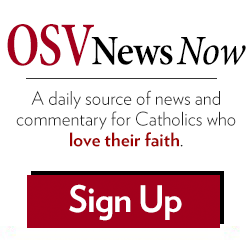 “The best thing a Catholic can do in these challenging times, when people are so polarized, is to try and bridge that divide, and try to find common ground with people,” Deacon Kandra added. A couple of years ago Father Bryan Small, a priest of the Archdiocese of Atlanta, said he realized the culture wars were never going to be won in the Facebook comments section. “I’m here for the memes, pretty much. That’s like 80 percent of it,” Father Small, the pastor of Sts. Peter and Paul Church in Atlanta, said with a laugh when asked why he uses Facebook. “Two years ago I made the decision to avoid anything political by and large, to try and keep things positive,” said Father Small, who added that he also uses social media to look up restaurant reviews and see what events are happening on a Friday night in Atlanta. Father Small’s Facebook page, which has a cartoon cover photo, lets his friends know what he’s up to. On March 7, he checked in from a movie theater in Atlanta where he indicated he was watching the new “Captain Marvel” movie. “You didn’t think I was giving up everything for Lent, did you?” wrote Father Small, who the same day also posted a meme encouraging people to pack snacks and toiletries in old pocketbooks and hand them out to homeless women. Father Small said he has been using Facebook since the days when users needed a college email address to have an account. 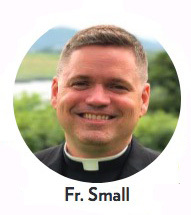 In 2006, while doing campus ministry at Emory University in Atlanta, Father Small used Facebook for outreach and to promote events at the campus Catholic center. Brian Fraga is an OSV contributing editor.